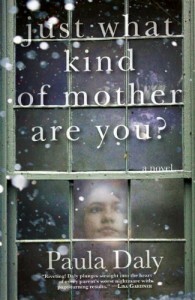 A top shelf, riveting and powerful debut novel, Just What Kind of Mother Are You, by British author Paula Daly is a compelling novel—a read for every woman, living a harried lifestyle, trying to balance work, home, and family. Filled with humor and emotion, this book will keep you turning into the night, for a mix of suspense, mystery, thriller, family drama, crime, and women’s fiction. Set in the Lake District, with economic hardship, and busy families, centered on two mothers of teenage girls. Lisa and taxi driver husband, Joe live a hectic life, struggling financially, where Lisa tries to balance her stressing job managing the local dog shelter, a non-profit, even checking out the homes of animals to be placed, running her home, and juggling the kids. When her daughter's friend Lucinda turns up missing after she was supposed to spend the night at Lisa's home, Lisa is wrecked with guilt and blame. Lucianda, the daughter of her friend Kate Riverty, is abducted and everyone thinks she should have paid more attention, pointing the finger at her. Now, it looks like the kidnapper, who has already abducted one other girl, is back at work, so Lisa begins her own investigation. She feels to blame so she begins working overtime trying to figure out the pieces of puzzle. In addition, Joanne Aspinall, the investigator with the local police seems suspicious of the events. There is drama and suspense coming from every direction, not knowing who can be trusted. The lengths one mother will go in order to keep her family. As tragedy strikes, what comes next is shocking as nothing is as it appears—when ugly truths are uncovered. I enjoyed the inspiration for the novel regarding an Oprah show of the busy mother forgetting her daughter in a hot car, which killed her. Lisa was a flawed and likable character, as she never feels like she is good enough and feels inferior next to her other friends—as most mother’s always striving for perfection. An exploration of friendship, motherhood, and the mystery of human relationships turned wrong, when the perfect house is not so perfect behind the façade. Thriller and mystery lovers alike will devour, as well as fans of highly charged subjects, mixed with humor: JoJo Moyes, Liane Moriarty, Carla Buckley, Diane Chamberlain, Sarah Pekkanen, Amy Hatvany, and Jennifer Weiner will appreciate the humor and complexity! The audiobook was outstanding, as the narrator, Laura Brattan offered an excellent performance, and found myself laughing out loud, at some of the one-liners. I wish more authors would use her, as could listen to her all day. Looking forward to reading Daly’s latest novel, “Keep Your Friends Close”, Shortlisted for the CWA Gold Dagger for Best Crime Novel of the Year. 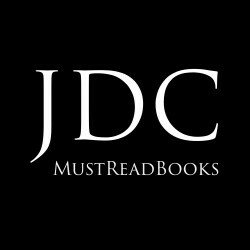 Daly has made it to my favorite author list and one readers will want to follow! Well- developed characters, excellent plot planning, and fast-paced action, making for a winning debut of motherhood, friendship, and complex family relationships.